The mission of the University of Wisconsin School of Medicine and Public Health (SMPH) is to advance health without compromise through service, scholarship, science, and social responsibility. 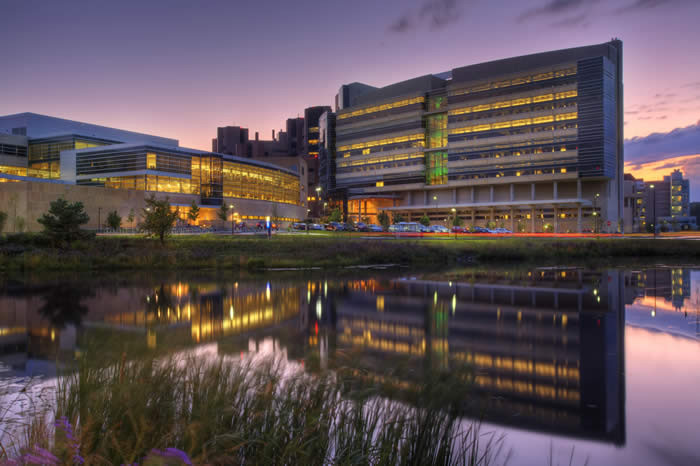 As a leading academic medical center, SMPH supports this mission by providing flexible, adaptable and affordable facilities to accommodate the changing science and medicine goals of departments, multidisciplinary centers, institutes and programs. Efficient and effective allocation of space will help shape the future of biomedical and public health research, academics and the practice of medicine. SMPH employees can download templates to print name plates for offices or cubicles. For guidance on how to fill out the space request form, view the user guide for facilities requests (doc). If you have any questions, contact Craig Kramer at (608) 265-8111 or craig.kramer@wisc.edu.